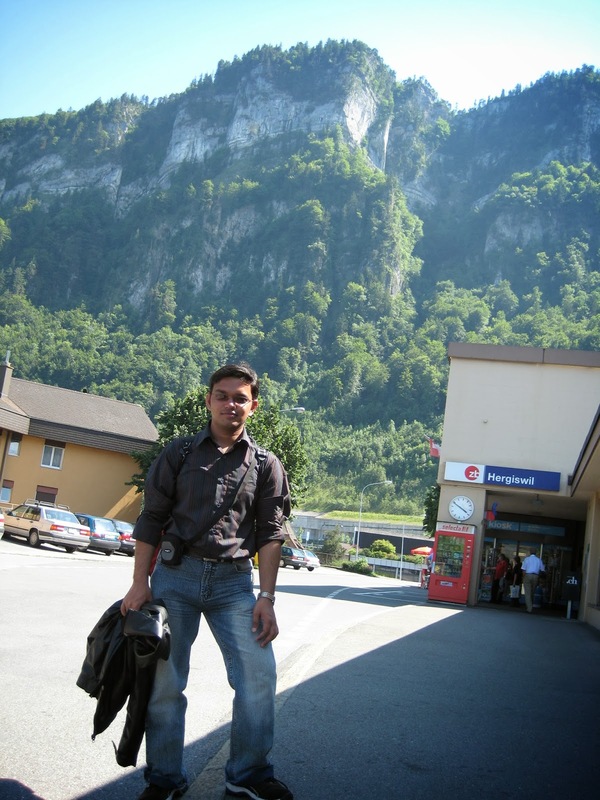 We were in Switzerland for more than over a month and it was definitely time to pay a visit to the renowned Swiss Alps. This world renowned range of mountains, famous for the absolute beauty they are, should be first on any itinerary for a visit to the region. So we noticed the delay we had already incurred in planning a trip there and we were determined to correct it as soon as possible. 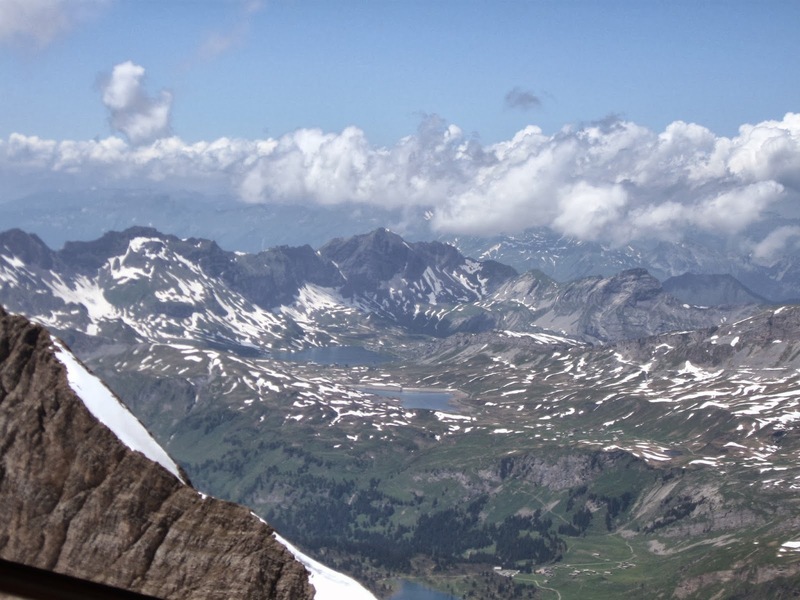 We chose a beautiful peak over 3000 meters above the sea-level amidst the Alps – Mount Titlis. As planned the three of us - DU, Akhil and me - embarked on our journey 22nd of June 2008. 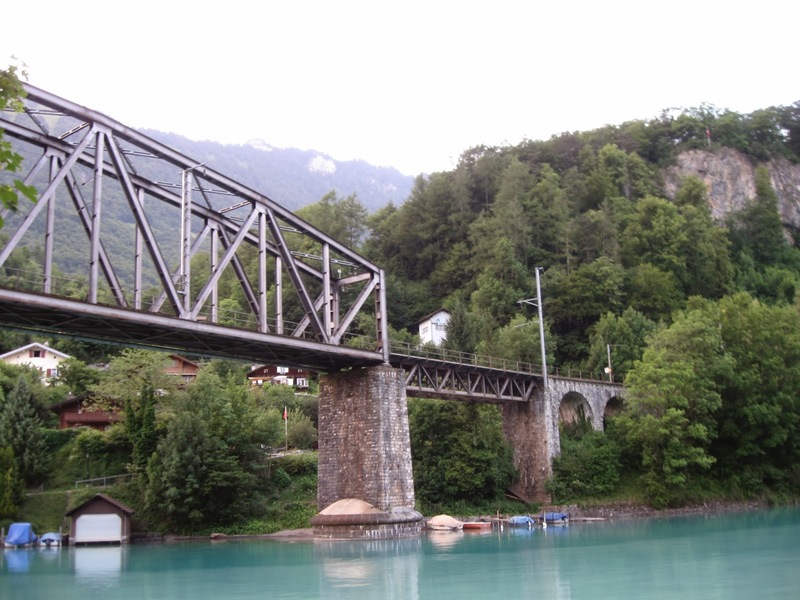 We took a bahn (train) from the Zurich central station for Engelberg. 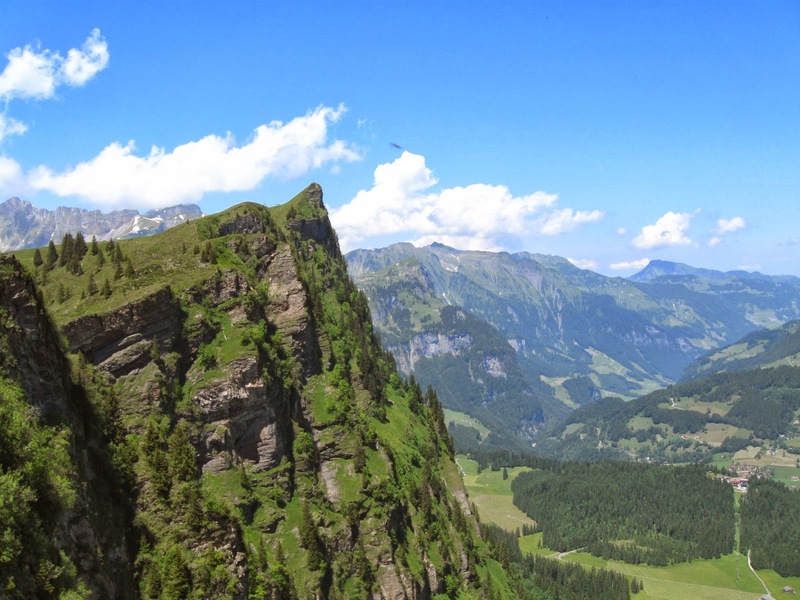 Geography is one of the factors that unite the world in some form or the other – every hill station you visit, there always is a base station from where the climb for the mountain begins and this base for Titlis was a small scenic town called Engelberg. We reached the town well before noon after having an early (very) start to the day to ensure we have the maximum time available to us to enjoy at the destination. 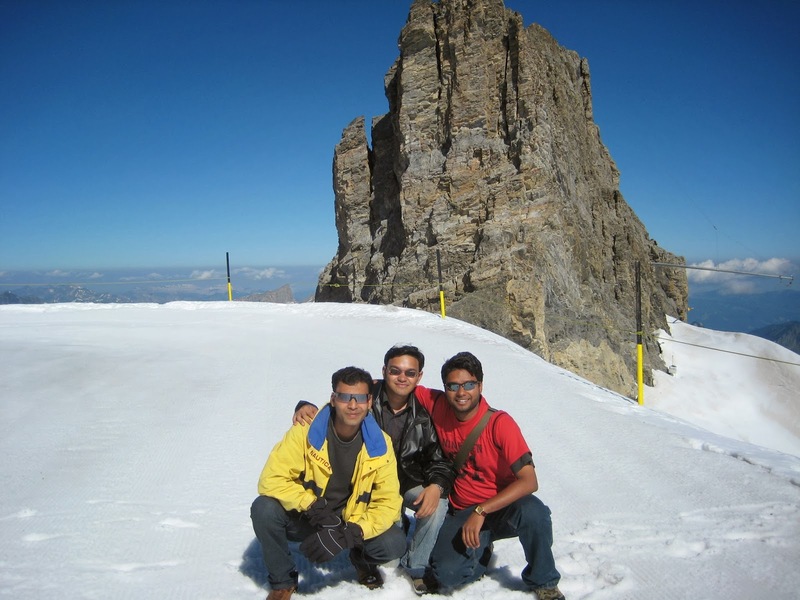 The journey from Engelberg to the top of the peak is a saga in itself and involves three different kinds of carrier. Each of these has a charm about themselves. Once you take your tickets for the climb upto the hill, you board a cable car from the designated station. The cable car helps you cover most of the height. The small car with capacity of carrying 4-6 people in one go dangling over a cable rope ascending towards the destination provides an awesome view of the hill slopes. 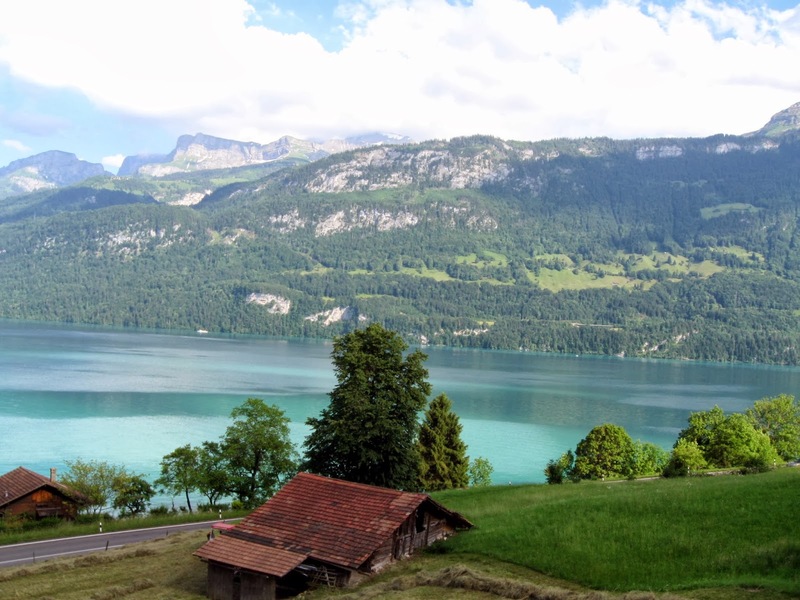 You are charmed by the fact that there is nothing other than green pastures and grazing cows all along the slopes. Once we reached half the total height across, it was the end of the cable car journey and hop out to the station there. The glance at the information board saying “kripya yaha utariye” (Hindi translation for Please get down here). This was the first illustration (atleast for this tourist spot) of the rising might of India in contribution to the tourism world over. The next big climb is supposed to be undertaken on the Titlis Rotair. This is a 360 degrees rotating gondola which covers the distance across the valley while also climbing up the remaining height. The gondola is a cylindrical shaped vehicle carrying around 40-50 passengers though a journey across picturesque snow clad mountains and provides a panoramic view of the snowy Alps exploiting the capability of spinning around its axis. You are mesmerized at idyllic scenic views of steep rock faces, deep crevasses and distant snow-covered mountain peaks. Once we had climbed major height we still were not where we had set the destination to be. However before that another marvel awaited us – the Glacier Cave or the Ice Cave. The cave's 150-meter-long walkway branches out in several directions and descend 20 meters below the surface of the glacier. The glacier cave is bathed in a dim turquoise-blue light. On the walls, millions of tiny ice crystals sparkle and glisten. The air is so cold that tiny white clouds appear when you breathe. The hazy atmosphere is the result of tiny air pockets in the ice, and the blue color is caused by the refraction of light. However, leaving these specifications aside, the feeling of being under an ice roof is marvelous. At one point of the caves, they have made arrangements to play national anthems of a few countries and to our pleasant surprise there it showed an option to play – Jana Gana Mana - the Indian National Anthem. Exploring the glacier cave was a cool experience with them temperature maintained at -1.5 degrees and frosty air all around. There was still one more leg of our climb before we reach the top. There was one more interesting ride we were going to enjoy. This one was called Ice Flyer Chair Lift and allows you to cast your eyes on the glacier below which provides a view of crevasses which can be impressively deep at times. 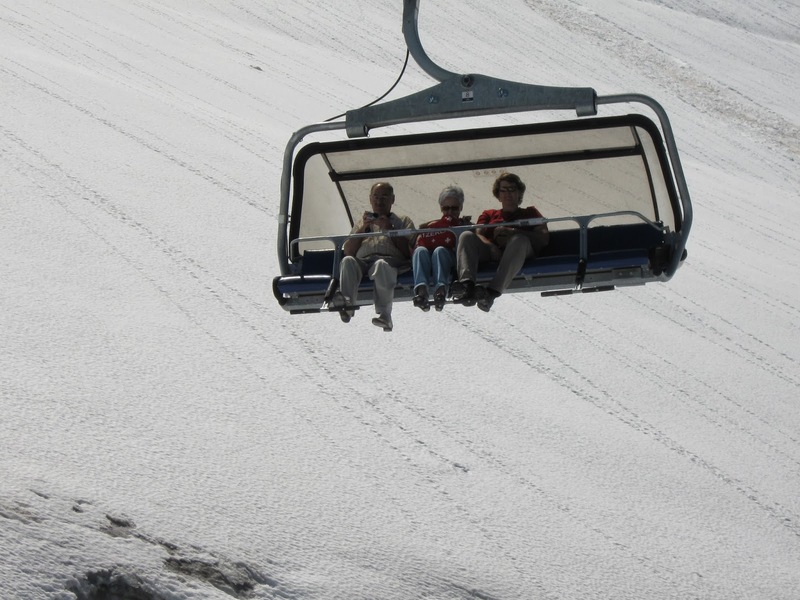 The ride is simply a bench with a safety bar hanging from a rope taking you across the glacier. The nature of ride itself because of its openness creates a sense of adventure and provides opportunity of small pleasures like waving to flyers moving in opposite direction at 3000 meters above ground. After that great ride, we were finally dropped at the top of the peak. We got down of the flyer and after a short hike we were there standing at Glacier Park. The vast expanse of snow surrounding you is a pleasure in itself. The options of enjoying that snow simply multiply to the experience of your visit. There are all kinds of seats which allow you to enjoy the snow slopes. The best experience out of all these is when you slide across the elongated path over a rubber tire taking a couple of spin on the way down. The ride is bumpy at places but surely exhilarating and we trusted the organizers to have ensured the safety of the track. Another attraction at the park was the facility of the powered belt to take you towards the higher parts of the parks once you reach the bottom of slope at the end of the rides. It simply means you have all the fun and now sweat much. We never realized how soon the time went past and it was almost much past noon and we were suddenly stuck by the fact that it was time to return. We all had our last shot at getting the best of our visit and took last rounds at the snow-rides and got back to Engelberg through the same set of rides which we took on our way up. However neither was the day over and so nor was the trip. We still had our train journey back to Zurich and we were in no mood to take a direct train. 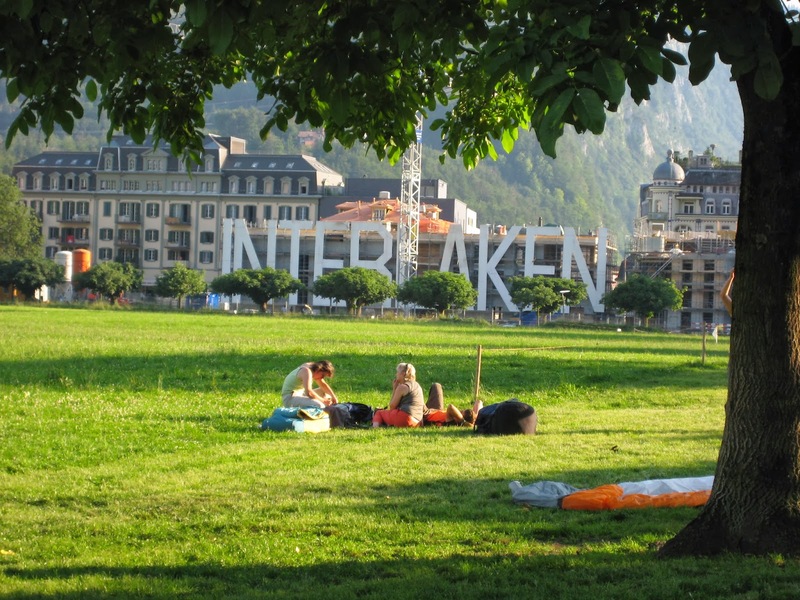 We had a stopover planned – Interlaken. We had limited time in this scenic town and so we were off exploring the opportunities it offered. After a quick knowledge gathering session at the railway station, we were off on the lookout of identified points of interest. A walk by the Aar River was relaxing at the least and provided great photography opportunities. 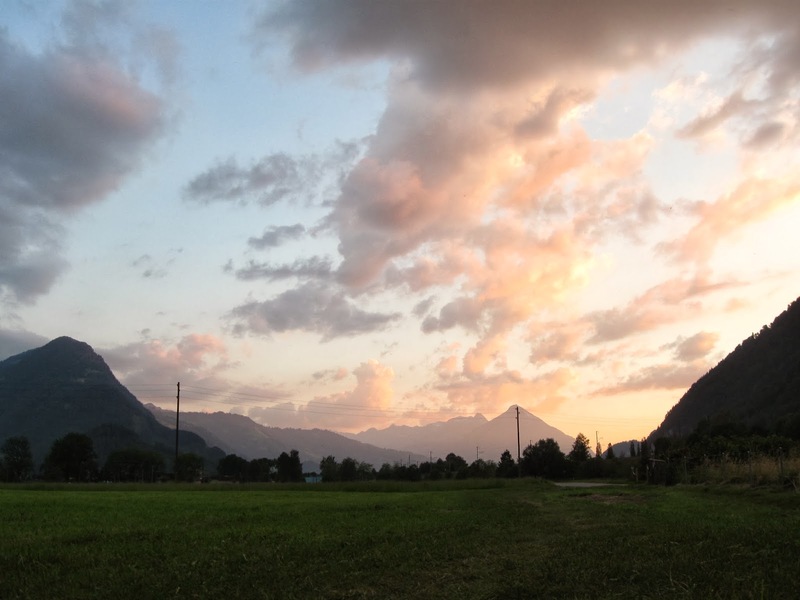 DU was off trying out the panoramic modes of his newly acquired possession – a relatively sophisticated digital camera. After spending some time, we took off from the city to be home. However, destiny had still some more fun planned for us and so on our way back when the train pulled into a small town called Hergiswil, we stepped out to have a view of the city. The distant church had some charm to it which pulled us and we decided to take the next train and meanwhile spend some time here. We visited the church which was an illustration of grand architecture and divine peace. 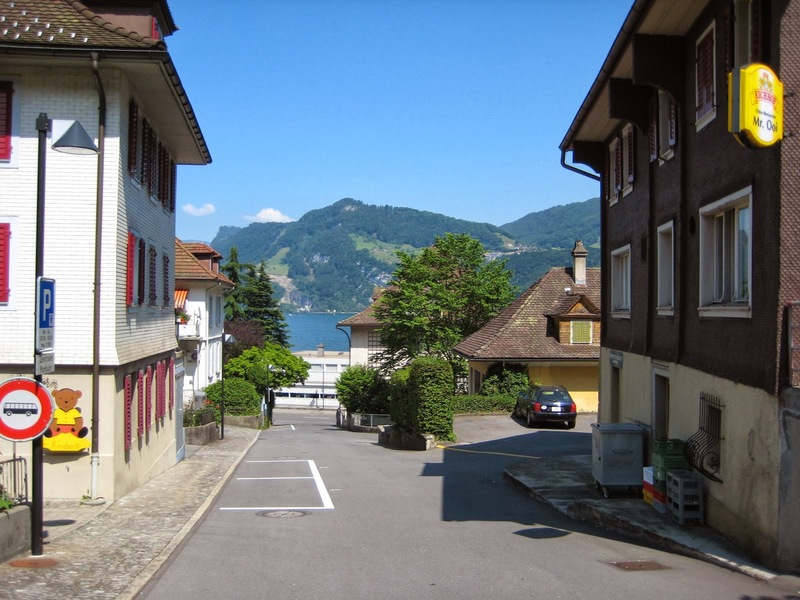 Then we had the opportunity to sit beside the other shore of the lake Lucerne. This was the last stop for the day packed with travel, site-seeing, hiking and cable car rides. It definitely was worth spending the money and time on and I would strongly recommend anyone visiting Switzerland to cover Mount Titlis as part of their itinerary. The political capital of India, Delhi, Agra is a medieval city on the banks of Yamuna River and Jaipur, the colorful capital of Rajasthan also known as the Pink city. Golden triangle tour packages india is certainly a savor to experience.